So, you are stuck with having to revise Romeo and Juliet. 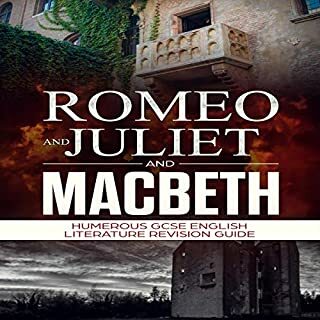 A Shakespearean play about a lovestruck, clueless couple with communication issues? Or Macbeth, a tiresome Scottish play with some witches with seriously bad haircuts. In the next 30 minutes, I am going to make this revision process as pain free as possible. Trust me on this. Do you want to understand the basic principles of psychology and to know how you can use them to improve your life and your relationships? In that case, Introducing Psychology by David Goleman is a must-listen for you. 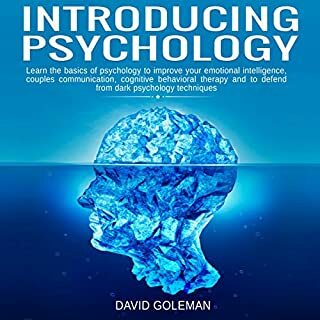 In this audiobook, you will learn everything you need to know to have a basic understanding of psychology, in general, and you will be equipped with the tools you need to succeed whenever you take up a self-improvement project that requires a lot of motivation and mental strength. Sound interesting? The author thinks so too! 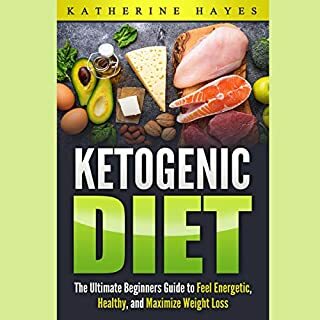 Listen to Ketogenic Diet Bible and learn about ketogentic diets. 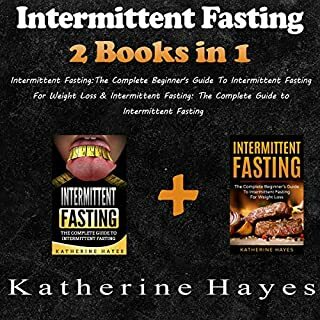 Get this two-in-one audiobook bundle by Katherine Hayes to find the best advice on intermittent fasting and recipes for the types of food you should eat to break the fast. Listen to Intermittent Fasting: The Complete Beginner's Guide to Intermittent Fasting for Weight Loss & Intermittent Fasting: The Complete Guide to Intermittent Fasting today. Narrated by: Eddie Leonard Jr. Learn how to become a great chef in the kitchen and impress your guests, friends, and family with your newly acquired instant pot cooking skills! 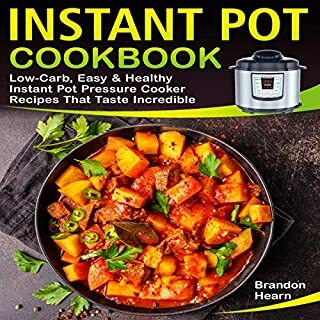 This ultimate cookbook is here to give you useful information about the Instant Pot pressure cooker as well as the step-by-step easy and quick way to cook perfect delicious recipes. So, you have made the big decision to take control of your health and join the whole-food plant-based diet movement. Congratulations! You have just made one of the best decisions of your life! This plant-based-diet beginners guide should help you get started. 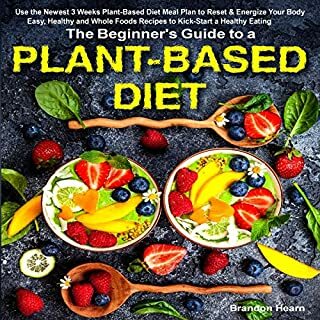 Discover the stress-free way to start a plant-based diet with easy, everyday comfort recipes. With the easy and healthy Keto Air Fryer Cookbook, you don’t have to sacrifice your health to enjoy fried foods. Become an air fryer master and impress your family, friends, and guests! This guide explores habits and creativity, how you can use some secrets to increase creativity, and how you can develop strong habits that can assure you sustain a higher level of creativity. In this insightful guide, Alex Wolf lucidly explains why you behave the way you do and equips you the tools you need to face the challenges of being an empath while also helping you nurture and develop your special gift to enable you to live a full life. ¿Te gustaría construir tu propia marca personal o tener un negocio online y convertirte en un Influencer de tu nicho? Quieres aumentar el uso y potencial de las redes sociales para hacer crecer tu negocio en 2019 y más adelante? O siempre has deseado tener un sistema automatizado que te pueda traer cada mes nuevos clientes importantes a tu negocio? Escucha para saber más. The Best Italian Instant Pot Cookbook: Traditional Italian Dishes Made Easy and Fast is all about bringing wonderful Italian dishes to life by using the popular multicooker in one Instant Pot. Discover how to live a happier and fulfilled life with practical and simple strategies. If you would like to learn how to navigate our modern world without getting burnt out, then the principles of essentialism are what you want. The research-based dietary practices in this audiobook are simple to follow. If you are willing to put in the effort, with dedication, you’ll start to see results quickly. Have you ever thought about the power that having a simple awareness of yourself and your surroundings can have? Are you sometimes a negative person or rather technical and logical and feel that your lack of emotional competence could potentially hurt your relationships or career? Or do you simply want to understand yourself and the people around you much better? If you answered yes to at least one of the questions above, this guide was directly written for you. This is not an audiobook on the latest fad diet or craze. This book is showing and proving how, through the various types of intermittent fasting protocols available, you’ll finally be able to lose the stubborn fat you have been dying to get rid of. Intermittent fasting is not about starving. When done right, it's an incredibly effective approach that produces amazing results regardless of what you eat once you break the fast. Mary Fern's bedtime series of audiobooks have helped countless children to find restful, gentle sleep and provided frazzled parents with a much-needed break. Her new series is designed to help children stop sucking their thumbs. These bedtime stories are best listened to on Audible. Feeling like your French isn't progressing as fast as you'd like? Not understanding idioms or cultural references? Wanting to learn real-life vocab you can use straight away? This audiobook is packed full of helpful techniques, tips, and hacks in an easy-to-listen-to format. Follow Clara through her adventures in France living like a local, learning useful everyday topics that you can start implementing into your everyday speech! The Unofficial Spell Book of Magic Containing All Curses, Charms, Jinxes & Hexes to Become the Ultimate Wizard or Witch! This comprehensive Harry Potter spell guide has all the spells you could ever need. From the books to the movies and even the video games, you’ll be able to become the most powerful witch or wizard there ever was. 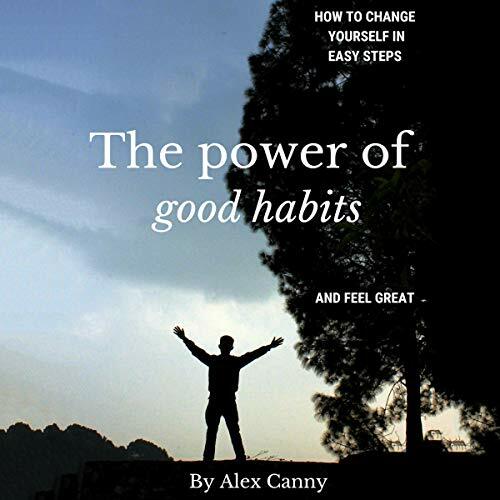 The Power of Good Habits is a strategy to create permanent healthy habits. Some categories include: eating healthy foods, exercise on the gym, reading, running, thinking positively, drinking water, meditating, sleeping well, etc. One of the best audiobooks from Audible! I’m very proud of my friend who writes it! Wow! Thanks for narrating that book i read e-book already from Amazon :) Audiobook is good, professional narrator and perfect content. I listened this book as soon as it was ready in my app :) In my car, perfect. I love Audible and those audio books !!! Wow ! such a nice book, nice narrate as well ! i highly recommended this book. Such a magnificent book.one of the best book I ever read.learned such huge numbers of things.i was really inspired by how much valuable recommendations crushed in such a short book.An worth buy. i loved this book. i am now going to work on my sleep hygiene! onwards and upwards! Short audiobook but very helpful. It is so many bad habits to change into good ones 🙂 I highly recommend ! Perfect ideas in this audiobook! I listened this book in the same day which i bought it and it has changed my life, I was such a negative person now I look for areas each day to be grateful and positive. This audiobook is so helpful ! Thank You !